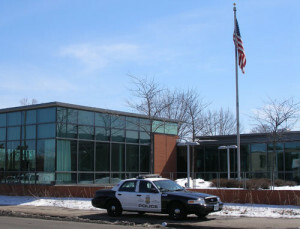 It provides police services to 1/5 of the city of Minneapolis. Its service area is bounded by Interstate 35 W on the East, Interstate 94 on the North and the city limits on the West and South. The precinct’s Community Room is open for public use. For reservations call (612) 673-5705. Sign-up to receive crime alerts via e-mail. Sign up for the 5th Precinct quarterly newsletter. National Night Out (NNO) is an annual nationwide event that encourages residents to get out in the community, holding block parties and getting to know their neighbors as a way to encourage crime prevention. It’s a great way to promote community-police partnerships and enjoy a Minnesota summer evening surrounded by friends and family. Community impact statements are presented to the court by prosecutors from the Minneapolis City Attorney’s Office to show the negative impact a specific offender or a specific crime has, not only on the victims of the crime but also on the community in which the crime took place. The City of Minneapolis is looking for volunteers interested in serving on the Community Emergency Response Team (CERT). These folks will be trained by the city to meet the challenge of a natural or man-made calamity or disaster in their community. These folks help make the community safer, stronger and better prepared to respond to crime, public health issues, natural disasters, threats of terrorism and disasters of all kinds. Training includes emergency preparedness, fire safety, first aid, search and rescue, etc. Minneapolis Police Department is looking for Citizens’ Academy volunteers. This is a 10 week free training program starting in February covering topics including K-9 units, 911 operations, Emergency Response Unit, Forensics Lab procedures, use of force, etc. Findings: We average about 73 crimes per year in the noted categories. On average over 90% of our crimes are property crimes and the majority of those are theft/larceny. Larceny is an umbrella term for any theft which occurs in an area where the suspect had permission to be, such as on a street or sidewalk. A theft from a location without such permission would include your garage, yard or home is classified as a burglary. Lots of these are crimes of opportunity (unlocked vehicles, unlocked doors, unsupervised valuables, open garage doors, unlocked bikes, etc. ).